1) Love is the foundation of the Command of Christ. 2) We express our love to God by loving one another. 3) The command of Christ was lost around 300 AD. Gaylord Enns has served in full-time Christian ministry for over forty years. He started ministry to college students in the 60’s and was a leader in the Jesus Movement of the 70’s. His pastoral ministry served one congregation for thirty-three years. In 2003, he founded Servant Leadership Network (SLN) to facilitate ministry to pastors and next-generation leaders. 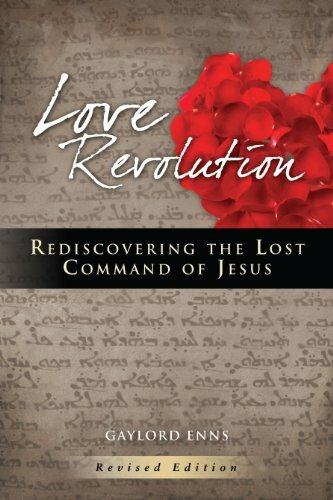 He is the author of Love Revolution: Rediscovering the Lost Command of Jesus, released in 2008. Over the thirty-nine years that he and his wife, Patti, have been married, they have worked together closely in ministry. They enjoy a loving relationship with their children and grandchildren.